Hollings Fish Bites are totally natural dog treats which not only taste great, but are healthy and nutritious too. Made from responsibly sourced UK fish, these treats are wheat, soya, dairy and gluten free, and have no preservatives, colouring or additives. 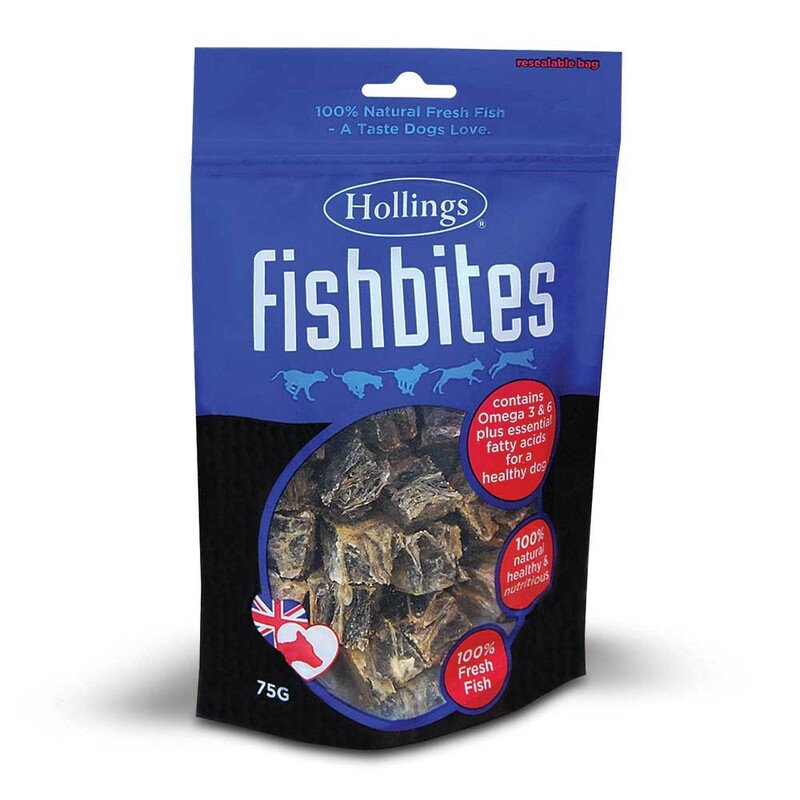 Hollings Fish Bites also come with the added bonus of providing nutritional support to skin and coat condition, digestion, joint mobility and digestive health. Below are some recent questions we've received regarding Hollings Fish Bites Dog Treats, including answers from our team.